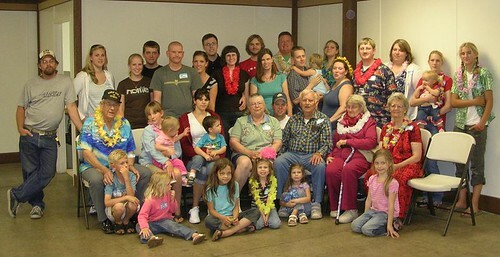 I finally got some time last night to finish cropping and upload the pictures from our family reunion trip last month. (I'm just a bit behind with Flickr, yikes! I actually have a ton more cute pictures to upload this week before I am caught up). The reunion itself was fun--the usual routine of hanging out with family, chatting, and eating. But what was really great was getting new pictures and looking at old ones, so here is one of each for you. And all the grandkids and great grandkids of the original 7 siblings (including my grandmother) that were present. That part is important to note because I would say there were easily twice as many people who couldn't make it as those that did. 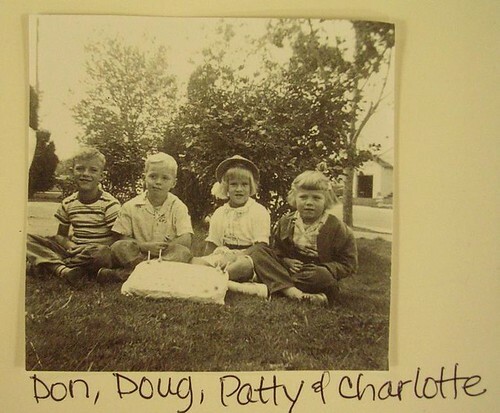 I love looking at old family photos - it sort of creates a connection for me. Great pics! Thank you! : ) I have a couple more up on my flickr account--my grandma and grandfather, both when they were around my age now.